I have never been to a laundromat before. All the places I’ve lived either have in-suite laundry, or had shared laundry facility in the building. So going to the laundromat was a bit of a novelty for me. It’s just like what I’ve seen on TV, complete with laundry carts! With Joshua being so sick, I was running out of clean clothes for him by the third day of our vacation. The trip to the laundromat was for washing his clothes. I must say, my favorite part was watching the clothes spin in the front-load washer. I was mesmerized! 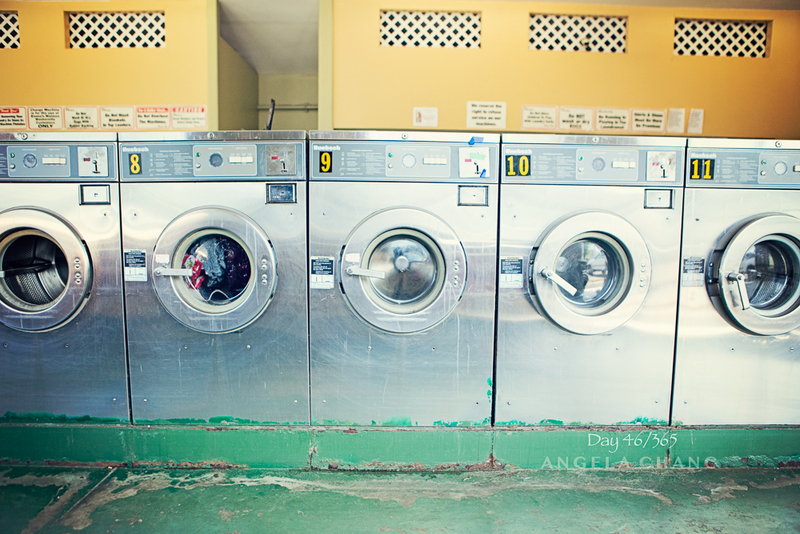 This entry was posted in 365, Photography, Travel and tagged 365, Hapuna, Kona, laundromat by angelasaito. Bookmark the permalink.